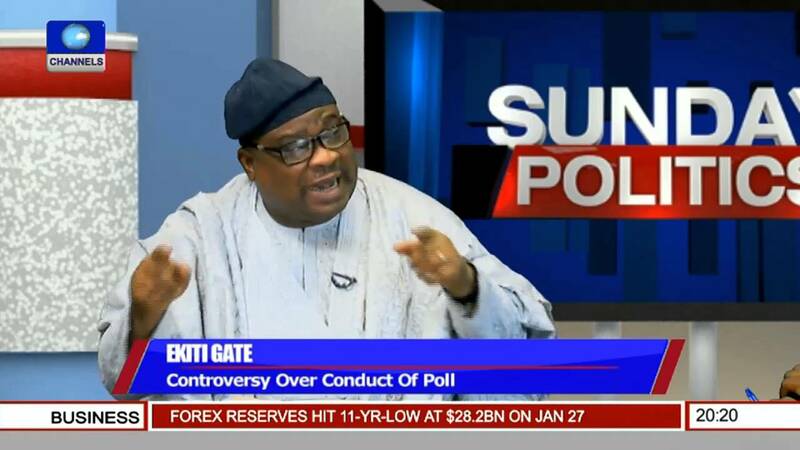 The recent saga that saw Dr Tope Aluko reconcile with Governor Ayo Fayose barely 2 months after he accused the governor and PDP of rigging the election in Ekiti state shows that Nigerian politicians have no integrity.Maybe not all of them,but most of them.As i am typing this,i am watching a rerun of the Channels Tv expose with Temitope Aluko spewing out allegations .And now he has recanted his allegations and made up with Ayo Fayose.I wonder at what expense though. father.Now Fayose is 55 years old,so how can he use that term that Aluko is his son? I found the whole process really embarrassing to watch. Fayose was also asked if Aluko had been promised anything or rewarded for coming back into the fold,he replied No..But then again if he had been settled in any way,he would not reveal it to us will he? But we all know it is highly unlikely that Dr Aluko did not go back on his vomit without some kind of sweetener.Both Fayose and Aluko said the meeting was about peace and to strengthen the party,not about positions. 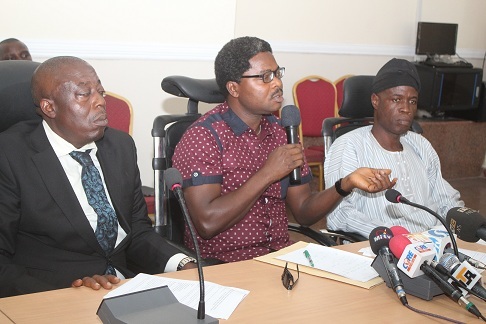 However when reporters kept asking Dr Aluko if his previous allegations were not true,he evaded the question. You have to ask though why Dr Aluko was not hurled in for questioning after making those claims.A man publicly says that they rigged an election,named men and places,and nothing happens? No investigation? Strange indeed. He further stated that “Even though Governor Fayose, being someone with large heart may not be too happy that I am making this statement, but as one of the major dramatis personae in the whole saga, my conscience won’t allow me to just keep silent after all the pains and confusion caused by Aluko. “I did say on Channels Television that giving the right situation or after Aluko must have concluded his scamming of the APC and its gullible leaders, he will return to Governor Fayose and recant everything that he had said. “Today, I have been vindicated because Aluko has done just that and I wonder how he will feel when he comes face to face with the people that he has destroyed. I wonder how he will feel when he comes face to face with those fine military officers that he went to Kaduna to lie against and made them to lose their jobs. “Also, I wonder how those who funded him will be feeling now, having failed to listen when I was consistently saying that they were being duped. I wonder how the Department of State Services (DSS) men who took Aluko’s lies and acted on them by invading the State House of Assembly will feel now that they have integrity problem because of what he (Aluko) made them to do. “However, I salute my boss, Governor Fayose for once again displaying his statesmanship because only a statesman with a large heart can hold the hands of someone like TKO Aluko after all that he did to pull down his government.